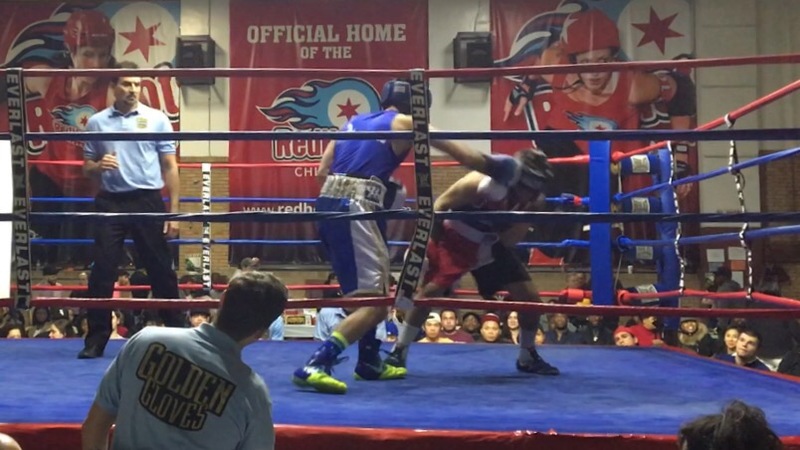 Noel Limon was disqualified in his 2017 Chicago Golden Gloves semifinal bout against Danny Vaz da Costa. 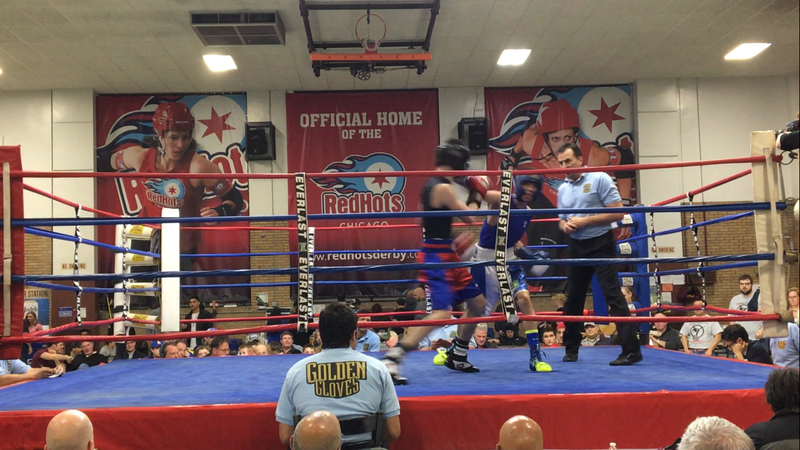 Although he is an excellent boxer, Mr. Limon fought dirty and had 3 points taken off by the referee for holding. This unfortunately ended the bout with a minute left in round 3. It was not Danny’s best performance, but he would have won the fight had it come to a decision. Let me explain. Limon won the first round with a score of 10 – 9. He would have won the second round by the same score, but he had a point taken off, so it was a 9 – 9 round. 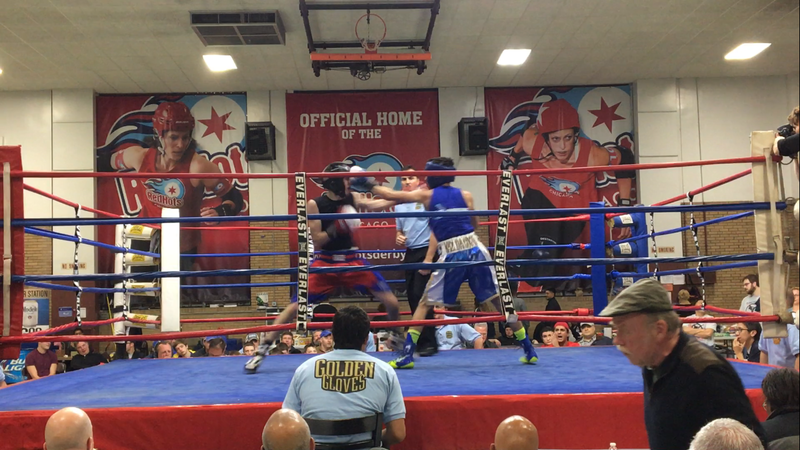 Danny was winning the third round, as he started timing Limon’s punches and landing some good overhand rights. After Limon had a second point taken off, the score would have been 8 – 10. So even without Limon’s third infraction, which in fact automatically disqualified him, the final score would have been 27 – 28 in Danny’s favor. 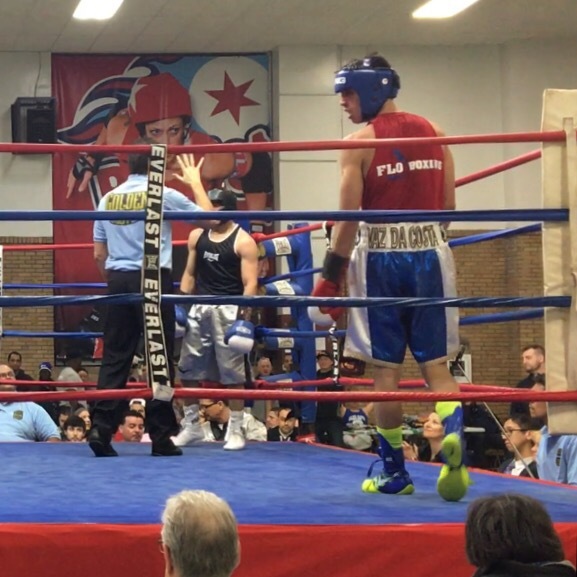 Danny will fight 2016 champion, Marcos Martinez, in the 132-pound open division final of the Chicago Golden Gloves on April 6th. 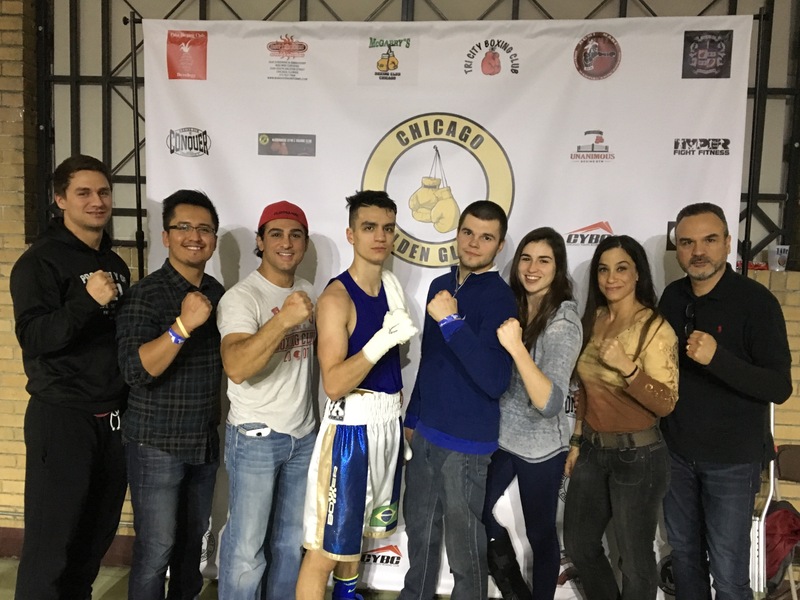 Danny Vaz da Costa won his 2017 Chicago Golden Gloves quarterfinals bout by unanimous (5 – 0) decision last night. Danny and his 132-pound open division opponent, Danny Gomez, had fought before and Gomez had to try something different this time or he would most likely lose again. His adjustment was clear: throw more volume, less power. This suited Danny. Despite recovering from the flu and an ear infection, Danny was able to avoid or absorb Gomez’s punches, none of which were of any consequence, while landing a higher number of more significant blows. In this fight Danny displayed a confident, fluid style that included several good check-left hooks to the head and a few right-hands and jabs fired independently from his foot movement. On to the semifinals on March 25th. 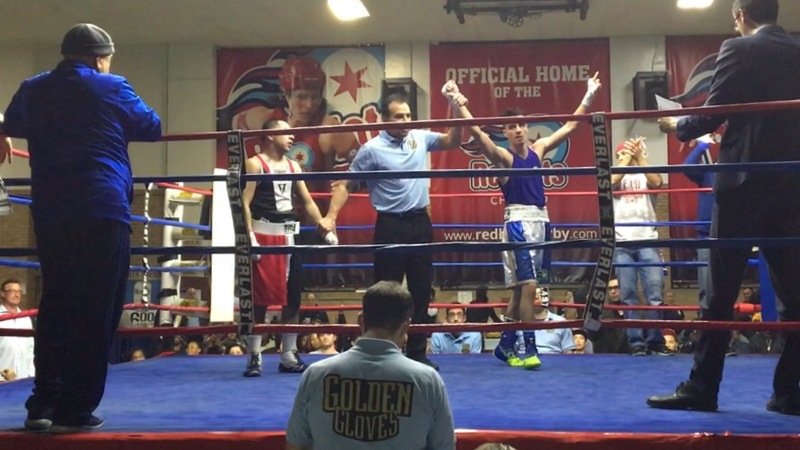 Danny Vaz da Costa defeated Raul Sanchez of Gary, IN, by unanimous decision in their 132-pound open division Chicago Golden Gloves prelim bout. 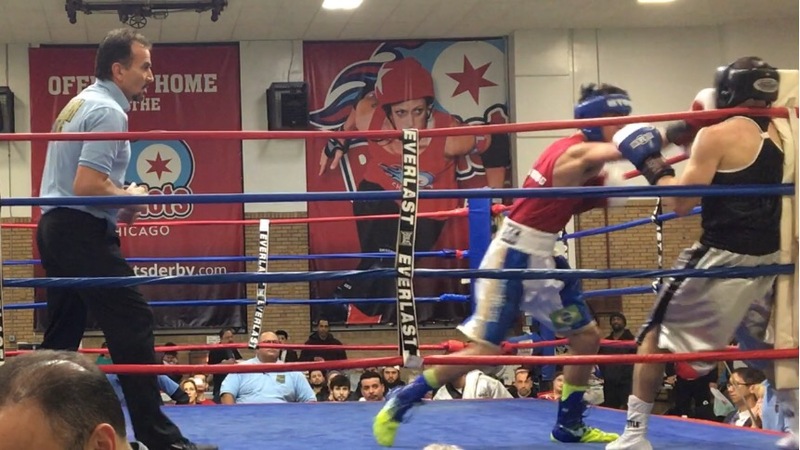 Mr. Sanchez, a Silver Gloves national champion, came out at a furious pace and landed a couple of big shots in the beginning of the fight. 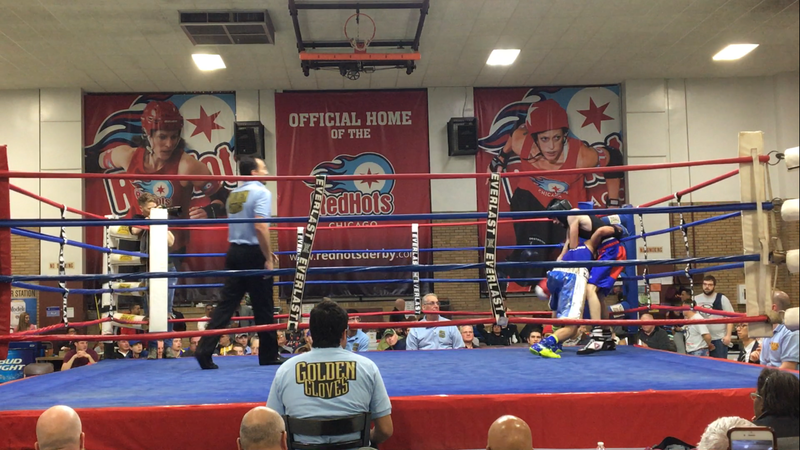 By the end of the first round, though, he started to pay the price for spending so much energy so soon, as Danny found his distance and landed a few good punches himself. In the second round Danny took control of the fight by mixing body shots with blows to the head. Mr. Sanchez began to tire and to find himself against the ropes. He did not swing nearly as much as he did in round 1. The last round was very one-sided. Danny applied pressure and gave Sanchez two eight-counts, the second of which was from an uppercut to the body and a left hook to the head, two clean shots in quick succession. Danny showed good composure and great conditioning in this fight. 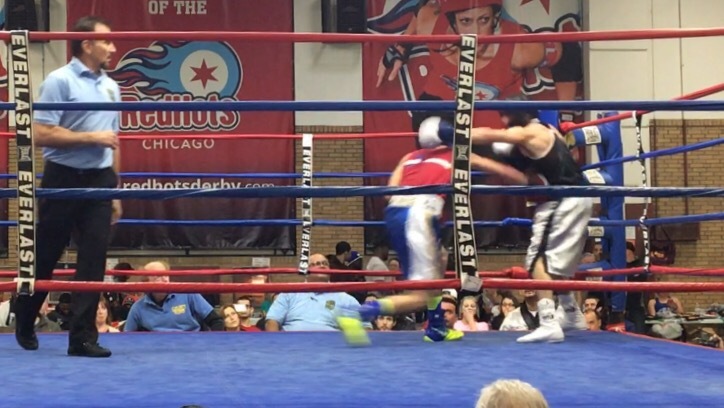 He will next face Danny Gomez of Waukegan, IL, in the quarter-finals on March 18th.